It is often difficult for most of us to make our kids eat healthy food. Keeping them away from junk and unhealthy food is an even bigger task. It is always easy for them to finish off a packet of chips than a bowel of vegetables or fruits. 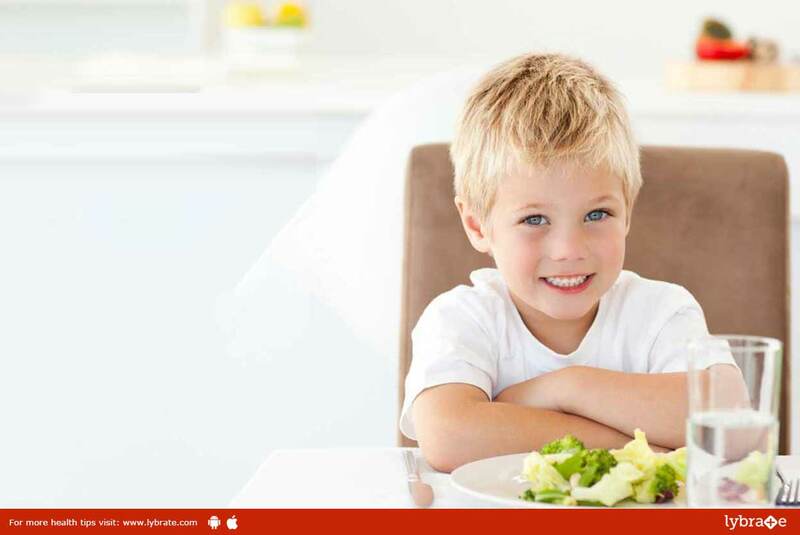 Read on to know some of the healthiest foods that your kid should be biting into. 1. Dairy products: These are a great source of proteins, calcium, potassium, magnesium and other minerals. In addition, yogurt provides good bacteria. Milk and yogurt can also be included into smoothies which will also give them a blend of some fruits. Unslated butter can be used in toasts and sandwiches as these foods are loved by children. For a variety, you can replace plain milk with milkshakes, they are tastier and the children love them. 2. Soups: These are another great source of nutrition, be it chicken or vegetables. They can be a good evening snack and not just prevent the evening hunger pangs but also come packed with a good amount of nutrition and hydration. 3. Fruits: Fruits are well known for their role in keeping us healthy. Pick fresh seasonal fruits and incorporate them into your child’s diet as they hold a good amount of nutrients. Fruits provide a good supply of vitamins, minerals, fibre, antioxidants and natural sugars. Encourage your child to eat whole fruit instead of fruit juice. 4. Whole Grain Cereals: Try a brown bread instead of white, replace refined flour pizza base with atta pizza base and white pasta with wheat pasta. Incorporate cereals like ragi, jowar and bajra. These whole grains provide a lot more fiber and nutrition compared to the refined flours. The idea again is to let the kids eat any of them but on a rotational basis, so that benefits from all foods are derived. 5. Vegetables: Get creative when getting the kids to eat vegetables and green leafy vegetables. From soups to salads to curries, try to rotate vegetables, and like fruits, use seasonal ones. Include different colored vegetables as they will make meal attractive & supply antioxidants with their health benefits. 6. Fish: One of the best sources of protein and omega-3 fatty acids, it helps in brain development and building immunity in children, making them less prone to illnesses. 7. Nuts: While walnut is a well-known brain food, almonds are amazing for the skin and hair growth. Pecans are a good source of nutrients too. The rich oils in the nuts help fight diseases and are a great source of energy. Substituting the sugar candy with any of the nuts is a great way to indulge them in healthy snacking. 8. Eggs: Whatever form, boiled, fried, scrambled, let the child indulge in their choice of eggs. A good source of protein which is very essential for hair, skin, and nails, try to squeeze in 4 eggs a week in your child’s diet. Ensure these things find a way into the kid’s plate. In addition, some junk or fried stuff is always allowed! ← Binge Eating – Is It A Disorder?